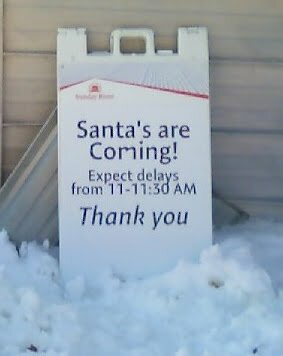 So does this mean that there are multiple Santas that are on their way, and that the sign maker just inserted a useless apostrophe? Or is the apostrophe correct, and the sign maker has no clue about verb usage? Remember: Expect delays when trying to interpret this sign.